A World War II cemetery that honors American troops who died in Europe during World War II. 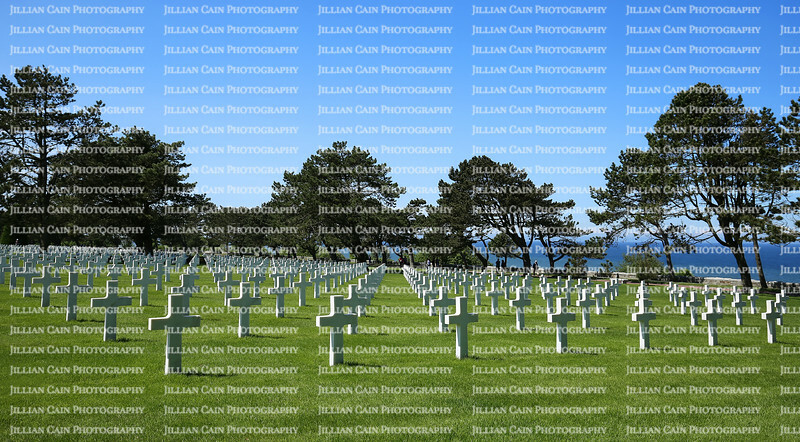 American Cemetery lined with crosses at Corlleville Sur Mer on May 23, 2016. A World War II cemetery that honors American troops who died in Europe during World War II.